The Galaxy S8 and S8+ have the sexiest looking design & hardware this year but not everyone would say the same thing about the software. That is precisely why we are writing this Galaxy S8 & S8+ rooting guide. 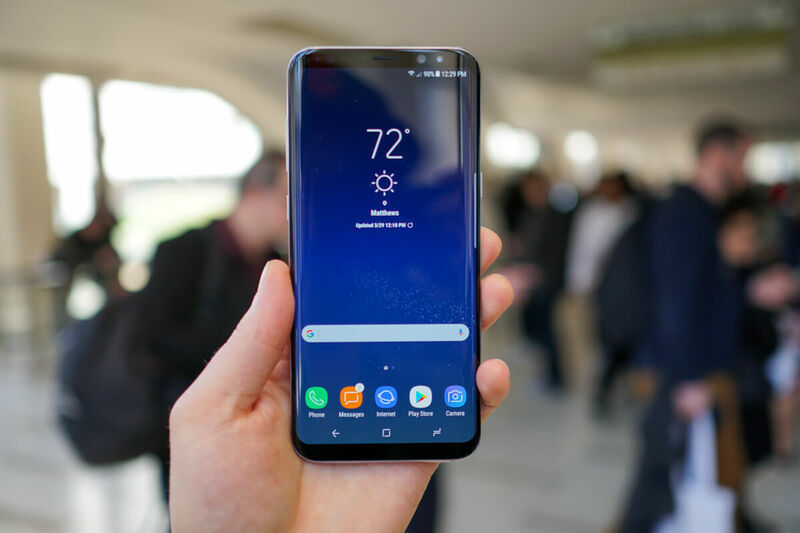 So, if you are one of those guys who is thinking the same thing, follow this easy guide and you should have a rooted Galaxy S8/S8. Some XDA members have released a working root method for both the flagship duo. But keep in mind the method is specific to Exynos variants of the phone. How many Exynos variants, you ask? well, we list them below. But before you decide to pull the trigger, read this. Disclaimer: Rooting your device in most cases voids warranty. Also, rooting a device is one of the more risky processes of Android customization. Even though we take care to detail steps as much as possible, you might end up with an expensive paperweight. Devs-Lab.com does not take responsibility for it. In this detailed Galaxy S8/S8+ rooting guide, we will first flash TWRP using ODIN and then install Magsik zip files. First, we will list the prerequisites, then we will guide you to install TWRP, then finally install Magisk to complete the process. Next reboot your phone into download mode by pressing and holding the Volume Down+Bixby button+Power buttons at the same time. In download mode connect your phone to the PC. You should see the Added!! in the ODIN Log box as soon as your phone is detected and you have the latest drivers. The ID: COM port should also be highlighted in blue. Now, hit the AP/PDA button in the ODIN interface and select the respective TWRP recovery.tar file of the respective device. Also, uncheck the Auto Reboot option in the Options tab. Click on Start now, and this should finish the TWRP installation process. When you see the box above the ID: COM turn green with PASS written, it means the process was successful. Now you can disconnect your phone from your PC. With this, we now have TWRP installed. Now we need to flash the latest Magisk files via recovery. Below is the process. Boot into TWRP by pressing Volume Down + Bixby + Power buttons and when the screen goes black, press the Volume Up button instead of the Volume Down. Keep the other two keys pressed. Now, go back and tap the Install button in TWRP. Choose the Magisk file and no-verity-opt-encrypt-5.1.zip file. If you copied these two files to the external storage you should have no problems finding them. Finally, swipe the installation confirmation slider to finish the process. When the install is complete, tap Reboot> system. Now when you open Magisk app you should see root verification. So, this is our guide to rooting the Galaxy S8/S8+. Let us know how you plan to root your Galaxy S8. Follow and subscribe on our social media for more content like this.